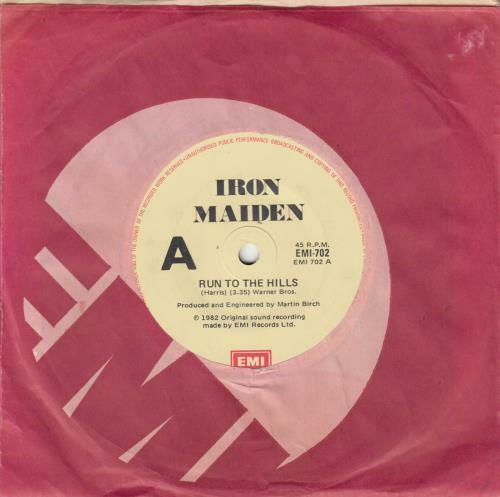 IRON MAIDEN Run To The Hills (Rare 1982 Australian stock copy 7" single, with cream solid centre labels. Also features Total Eclipse, housed in the original EMI die-cut company sleeve with the Australian address on the reverse. The vinyl displaysvery little signs of play with only a couple of light cosmetic scuffs, a really nice example EMI-702). or visit our Iron Maiden image gallery.